Full length drop-forged Chrome Vanadium steel spanners with polished jaws. Packed in a canvas wallet. combination spanner is double ended spanner with one end being an open-ended spanner, and the other end being a ring spanner. Both ends fit the same size nut or bolt. 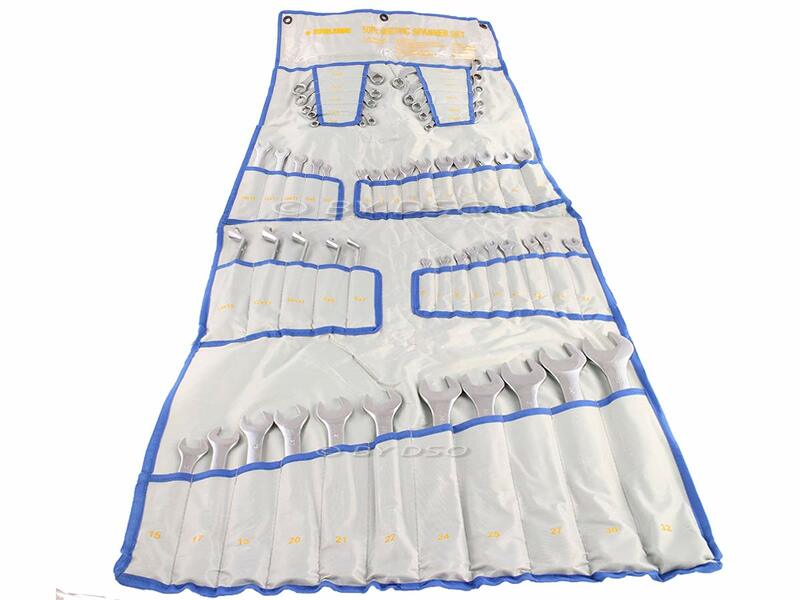 S-Type and obstruction spanners are to get access in difficult to reach places. Exhaust manifold, engines the list is endless. Stubby spanners set is perfect for getting into places where normal sized spanners just don't fit. Ideal for The Home, Garage Workshop, Builders, Hobbyists, and DIY Enthusiasts, etc. Great set of spanners to have in any toolbox.